Staying in Beijing with great comfort! Among thousands of Beijing hotels, we have carefully selected the following hotels and hostels for its good location and best value for money. No matter you want a luxury stay in a 5-star hotel, or want a special experience in local featured hostel, we will help you find the best hotel according to your needs and budget. Check the following Beijing luxury hotels (including Regent Hotel, Hilton Hotel, Crowne Plaze Hotel, New World Hotel), Beijing comfort hotels (Beijing International Hotel, Park Plaza Hotel, Red Wall Garden Hotel and Sunworld Hotel), and Beijing economy hotels (including Redwall Hotel, Holiday Inn Express, Jingshan Garden Hotel and Beijing Dong fang Hotel) to start your Beijing tour. Favored by a lot of travelers and business people, Regent Hotel Beijing provides the top-class service for guests, with the 500 luxury rooms and suites in classic and elegant Chinese styles. So you can relax to the most enjoying the private and comfortable environment. Also, this hotel offers diverse great food and drinks of both Chinese and Western kinds in 5 delicate restaurants, bar, and lounge. Besides, other services like Spa, indoor swimming pool, gym center, and free Wi-Fi, etc. will give you a wonderful stay in Beijing. It is highly recommended by former customers for its comfortable rooms, outstanding services and great location. It is near the financial district and major sightseeing places, like the Tiananmen Square, Bell and Drum Towers are just a few blocks away. All rooms are modern with a gigantic bathroom. Free Wi-Fi is offered in the lobby and the restaurant at 5th floor. Taxis are always right outside the hotel, and the metro stop is about 10-15 minute walk away. Starting its operation since 1991, Crowned Plaza Wangfujing has about 350 rooms with fashionable and modern elements. Located on Wangfujing Main Street, it offers you a convenient access to shops and restaurants. Wangfujing Subway Station is just 8 minutes' walk from the hotel, and the Forbidden City is 15 minutes' walk away. The hotel service was fantastic all round, fast to respond, always friendly and always professional. Surroundings: emple of Heaven, Forbidden City, Tiananmen Square, Metro Station, etc. New World Beijing Hotel is located at the central area of historic Beijing city. With short walking distances to the Temple of Heaven, Forbidden City, Tiananmen Square, etc. Also, you can walk about 10 minutes to the metro station to take the subway to anywhere you want. It has 309 exquisite guest rooms and suites. The modern but traditional oriental featured environment will serve you well with the high-end facilities. Apart from the international dishes in the two restaurants, the hotel also provides an open air bar at the attic that will let you enjoy the grand view of Beijing city. Indoor swimming pool and Spa center serve to relax your body completely. 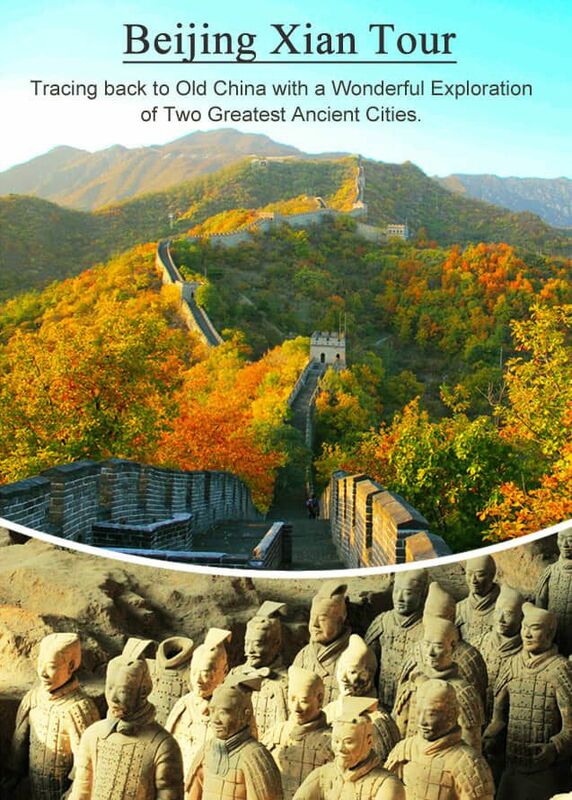 Top 3 Beijing tours chosen by most customers to explore Beijing in the best way. Check the detailed itinerary, or tailor your own trip now with us.